In order to investigate the cell within the walls of the broch we have been excavating a trench in front of its entrance. 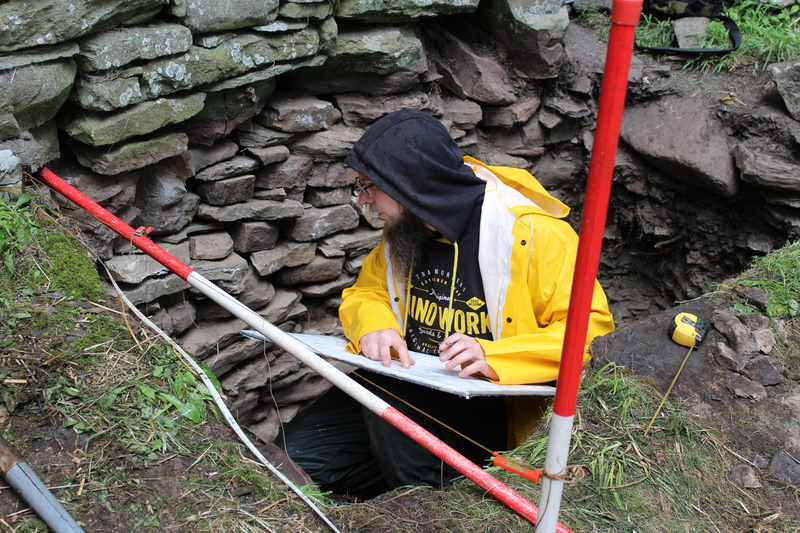 The main aims of this work are to determine whether this is a pimary feature or a later rebuild and to establish the extent of clearance carried out within the broch in the 19th century. We started with removing the turf and topsoil across the trench. Then we dug into a deep deposit of rubble and shattered stone extending to the base of the broch walls, within the rubble we found a clay pipe and a button discarded or lost by Victorian diggers. 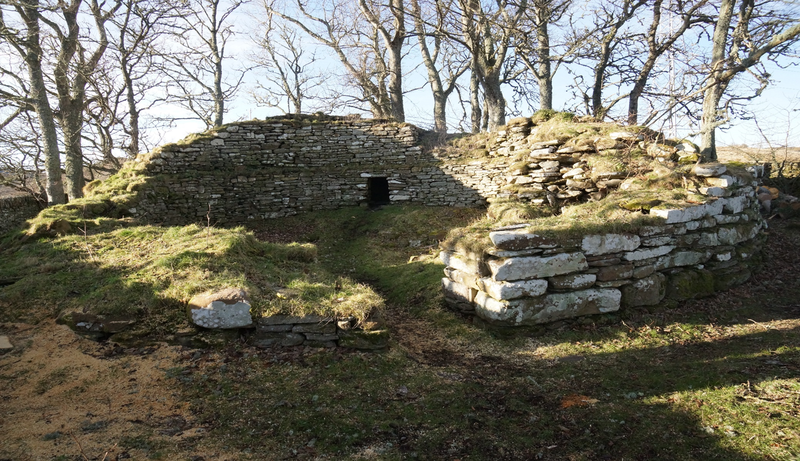 Underlying the rubble was a buried ground surface, upon which the broch appears to have been built. We are now in a good place to start to answer some of our research questions of the project. The lack of any soft deposits within the centre of the broch implies that these were all removed by Sinclair’s excavations in the 1860’s who must have excavated to the bottom of the broch walls. We can now also be quite sure that the cell is a later insertion into the structure as we can see that the threshold of the entrance to the cell sits around 75cm above the bottom of the broch walls. This implies that when the cell was constructed material had collected within the interior of the broch to this level. There is still lots of work to do recording and backfilling the trench, as well as ongoing work in other areas of the broch but that is for another post.